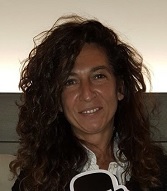 Susanna Usai is Senior Consultant the Neuroalgology Unit of the IRCCS “Carlo Besta” Neurological Institute of Milan, Italy. She obtained the Degree in Medicine and Surgery at the University of Padova and the Board in Neurology at the University of Milano-Bicocca. Her scientific research activities are focused on the clinical aspects of headaches, mainly chronic forms related to medication overuse, including non-pharmacological treatments. In the last years, she has participated also as coordinator in several clinical trials in headaches. Chronification of migraine involves 8% of patients with an episodic form, and 1-2% of the general population. Chronic Migraine with medication overuse results from an interaction between excessive use of a therapeutic agent and a susceptible patient. The frequent or regular use of analgesics and anti-migraine drugs can make headache more frequent and induce the transformation of episodic to chronic headache. These patients rarely respond to preventive medications while overusing acute medications, and the discontinuation of the offending medication is necessary and can lead to a withdrawal headache that is severe in intensity. Chronic migraine has a significant negative impact on patient’s daily activities, in the workplace, family and above all, personal, with a global worsening in quality of life. Chronification is not the natural evolution of episodic migraine, as several factors can influence its development, and the percentage of patients returning to an episodic form is significantly higher than the percentage of patients who develop refractory forms. The most interesting and not yet fully known aspects concern the pathophysiological mechanisms underlying the chronification (e.g. cortical spreading depression, increased plasma protein leakage, subsequent activation of trigeminal nucleus with central sensitization), including individual susceptibility and environmental factors like obesity, depression and stressful life events. Specific psychological and behavioral factors also play key roles and are relevant for personalizing the treatments.